hotelF1, the new generation of low-cost hotels with parking and free WIFI, accessible 24/7 (staffed reception desk). New look, and new DUO and TRIO rooms for your business or leisure stays. Outside the rooms is a spacious and well-equipped shower and bath room area. Cafeteria and/or terrace to enjoy the all-you-can-eat breakfast buffet. hotelF1, pay less and travel more! 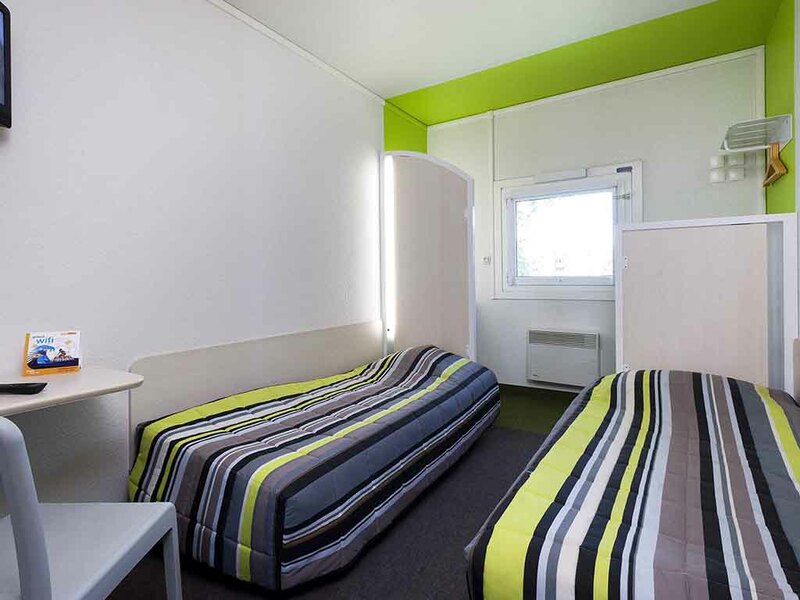 DUO room with double bed for two people. Ideal for business trips, couples or friends.